Laughable is paradise for comedy fans & podcast lovers – there’s nothing else like it, and it’s completely free. 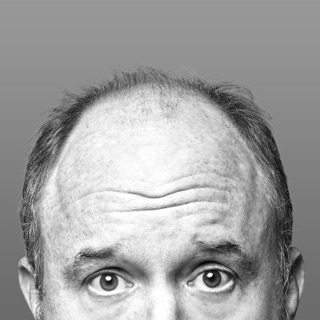 Subscribe to your favorite comedians and other public figures, from Bill Burr to Barack Obama, Joe Rogan to Jordan Peterson, Patton Oswalt to Oprah, and thousands more. Stay current on their podcast appearances as a host OR guest – Laughable makes it easy. While connecting more deeply with your existing favorites, you’ll be surprised how naturally you discover new people and podcasts to love, as well. The world is a fascinating and hilarious place. Explore it with Laughable! 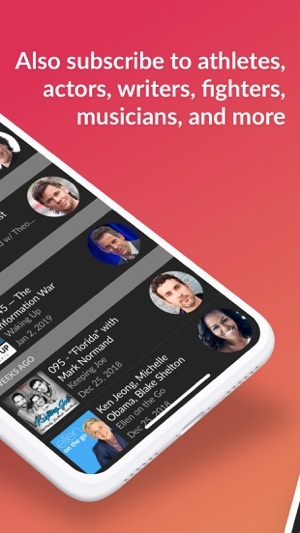 - ARTIST PROFILES: Find a comedian’s podcast appearances as a host OR guest, tour dates, and social media pages – all in one place. - NOT JUST COMEDY: We also offer thousands of non-comedy podcasts and the ability to subscribe to a wide range of public figures: Elon Musk, Ruth Bader Ginsburg, Shonda Rhimes, Sam Harris, J.K. Rowling, Richard Branson, Yo-Yo Ma… the list goes on. Nearly forever. - RECOMMENDATIONS: Expertly curated, frequently updated episode & artist picks. - SEARCH: Look up podcast series, episodes, & artists with ease. - PLAYBACK SPEED: Listen at your preferred pace, from 1x up to 2.5x. - SLEEP TIMER: Why count sheep when you can listen to podcasts? - CARPLAY: Eyes on the road, ears on Laughable. 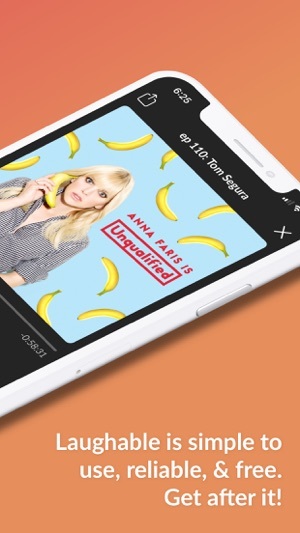 - OFFLINE LISTENING: Download episodes so that stingy data plans and lousy reception never get in your way. "I love the interface and the fact that you can follow individuals as well as shows. 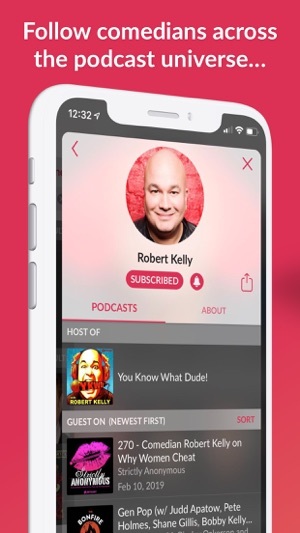 I haven't found another podcast app that allows for that!" – M.J.
"Bert Kreischer brought it up on his podcast and I immediately downloaded it. I love using laughable. Found so many comedians and podcasts through it." – B.M. "I don’t use any app more than this one... Honestly podcasts were frustrating me, never knew how to listen to them in an easy way, but I saw Laughable, downloaded it and it was love ever since. You changed my life with this app." – D.T. "Still using your app every day of my life with happiness." – P.W. We’re Ned & Stuart, and we approve this message. Being able to search a comedian and find all the podcasts they’ve been on is awesome. I used to try this with the iPhone podcast app to awful results. It's much easier on laughable. The podcasts download a lot faster too. At my office I don't have wifi so being able to load up on podcasts when I wake up in the morning to prepare for the heroic work of insurance claims data entry is really helpful. Kinda surprised this is a free app with no ads or ad banners. I mean, if they charged I wouldn't pay it but that has more to do with me being cheap than any sort of value assessment. It would probably be worth the $1.99 they could charge. But yeah I still wouldn't pay it. I would just be sad and nostalgic for the days it was free and fumble with the iPhone app while I remembered the good ol days. But that's how life is sometimes. Nothing gold can stay. Pony boy said that. Which sounds weird if you don't know the reference. But that doesn't take away from the truth of the statement. So I for one am just gonna keep on loving this app until it goes away or they charge and when that day comes I'll regret all the nice things I've just said as I result to calling this app a bunch of fascists and greed mongering sell outs. All while refusing to see the contradictory nature of that statement. Guys, what I'm saying is, this app is great and it's free and that's awesome. The best pod app keeps getting better! I've loved this app since I first found it. The support isn't only superb, but it's incredibly fast and personal! There's some good app devs out there but NOTHING I've found comes close to Laughable. 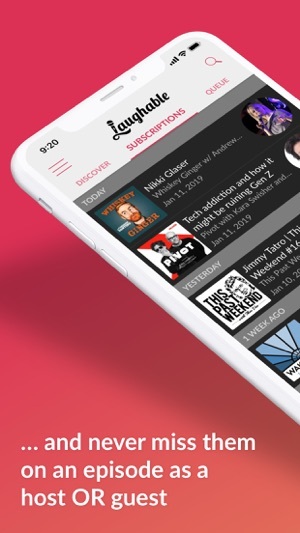 The feature I love most is when I hear a new comedian (or nowadays any personality in any genre of pods) are easily found on other podcasts which has provided me with more relevant content than any way I could search for using any other app Including the native app. I'm not using nearly the amount of memory either. Like everyone, they've had problems adjusting to the iOS 11 nightmares, but instead of hiding from the masses, Ned and the folks at Laughable get in front of it and handle these eventualities llike the true pros they are. I'm looking forward to using the app for buying tickets to live shows in my area with that feature too. It is simply the best app I've ever used. Great job Laughable! *Edit for extra feature! If there's a podcast that for the most obscure reasons isn't already on Laughable you can easily send a request for it on the main menu! They effen' rock! Best Podcast App, beat support. 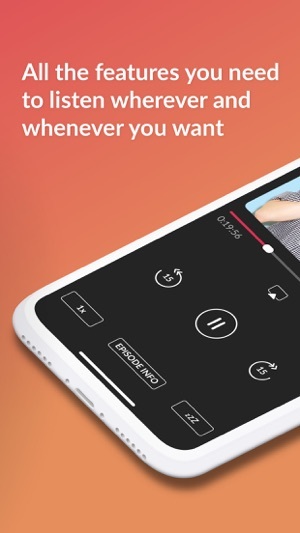 Updated review: I’ve used the app for a while now and have had issues with downloading episodes every few updates which is why I gave the app 2 out of 5. I emailed their support (Ned) and I got a response almost immediately. He said they were working on a fix for this, as well as a fix when multiple episodes released on the same day for the same podcast not showing up in your feed. Few days later Ned emailed me back to let me know they updated the app and if this update fixed my issues. The update fixed a few but still some thing weren’t working properly so a few days later I receive another email letting me know the app was updated again. Well this second update fixed my downloading issues completely. Can’t thank the support team enough, they were quick and actually took time to get back to me and actually fix the issue. © 2019 Byway Endeavors, Inc.